At no time in life are curiosity levels higher than in the very young, which makes the early years classroom the ideal location in which to kick-start an interest in the way the world works. So why not take the time and add some Stem or Steam-style activities to your repertoire? To help you to get started, we've picked out a range of innovative theory lessons and practical tasks. This activity will help learners focus on the materials that are surrounding them everyday in their classroom. Learners will have to identify whether an item is made from metal, platic, paper, wood or fabric, and within a given time limit, write or draw the items they see in their classroom in the appropriate column. Science worksheet for Plants and Flowers topics - sequencing growing a bean. Uses widgit symbols and pictures for a 4 part sequencing task. Ideal for SEN and early years. Can use pictures alone to sequence or sequence with description provided. Simple sheets for pupils to record on. Linked to pond dipping activities. Sheets include PCS symbols to help support those pupils who may need visual prompts. 8 pages of awesome activity ideas. 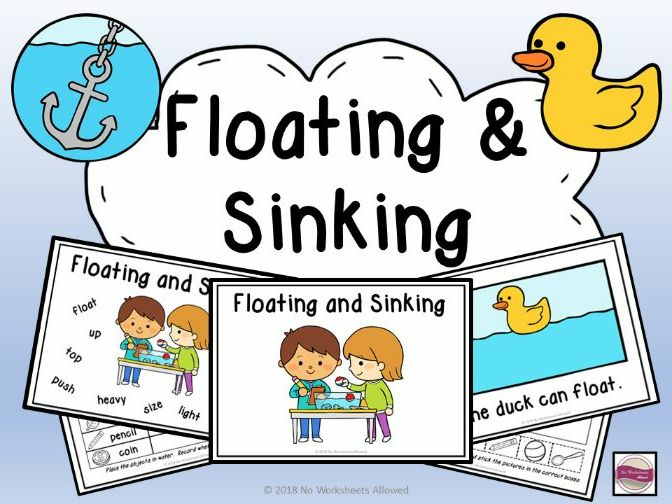 Floating and sinking word mat (in colour and B&W): use this word mat with writing activities. Recording sheets: 5 recording sheets with differentiated versions = 10 in total! Perfect for pupils of all abilities and different year groups. Design a rubber ring sheet. ‘Floating and Sinking’ emergent reading book: provided in colour and B&W. You could print the pages back to back and use the book for guided/independent reading. Alternatively, the pages could be printed out separately and used for a display. I would really appreciate feedback for my product! For more exciting resources visit my shop.